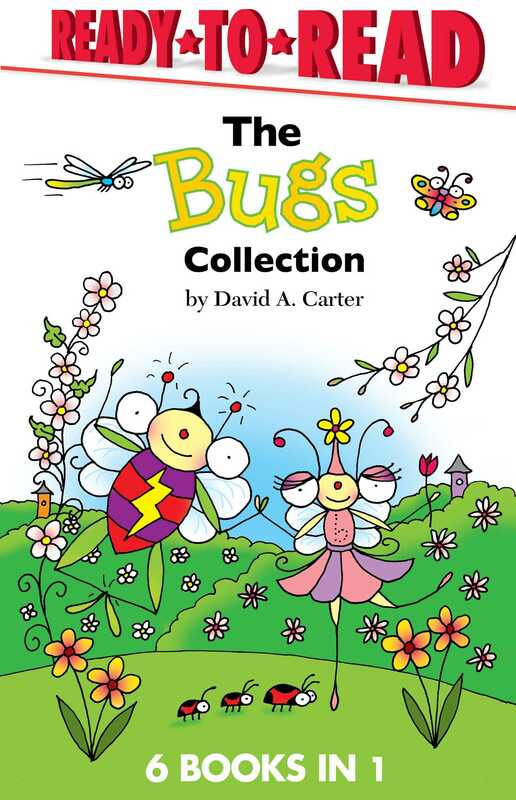 Join David A. Carter’s bestselling Bugs for some timeless adventures with the first six Level 1 Ready-to-Reads—now available in one buzz-worthy paper over board edition! Beginning readers will discover a tiny, adorable world at their fingertips in these six sweet and silly stories. Readers will rhyme along as Bitsy Bee and Busy Bug welcome springtime to Bugland, build a fort together, go to school for the first time, and so much more!! This paper over board collection comes with a matte finish cover and includes Bugs at the Beach; Busy Bug Builds a Fort; A Snowy Day in Bugland! ; Merry Christmas, Bugs! ; Springtime in Bugland! ; and Bitsy Bee Goes to School.